Now that BCA owns webuyanycar.com, a much greater variety of cars are coming through its Blackbushe Auction Centre. 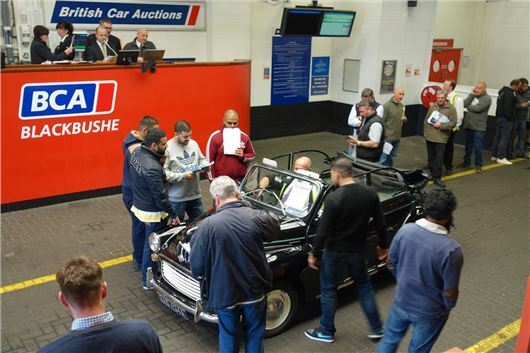 This 76,469 mile 1963A reg Morris Minor 1000 Convertible sold for £3,800 at BCA Blackbushe on Monday, 14th April. At a Classic Car auction auction a genuine, rust-free Minor 1000 convertible in the springtime could easily fetch £7,000. So the CC Trade section of BCA auctions is now a very happy hunting ground for interesting and unusual cars, either to run or to turn around at a significant profit. Car auctions are held every Monday, Wednesday and Friday, and commercial vehicle auctions everyn Thursday. Beware of the buyers fee, dvla fee, etc.